In this instance, you can see that the URL is identical apart from a 7 digit code at the end: the ID of the school the data refers to. There are a number of ways you could scrape this data. You could use Google Docs and the =importXML formula, but Google Docs will only let you use this 50 times on any one spreadsheet (you could copy the results and select Edit > Paste Special > Values Only and then use the formula a further 50 times if it’s not too many – here’s one I prepared earlier). And you could use Scraperwiki to write a powerful scraper – but you need to understand enough coding to do so quickly (here’s a demo I prepared earlier). A middle option is to use Google Refine, and here’s how you do it. With the basic URL structure identified, we already have half of our ingredients. What we need next is a list of the ID codes that we’re going to use to complete each URL. An advanced search for “list seed number scottish schools filetype:xls” brings up a link to this spreadsheet (XLS) which gives us just that. The spreadsheet will need editing: remove any rows you don’t need. This will reduce the time that the scraper will take in going through them. For example, if you’re only interested in one local authority, or one type of school, sort your spreadsheet so that you can delete those above or below them. Now to combine the ID codes with the base URL. Open Google Refine and create a new project with the edited spreadsheet containing the school IDs. In the New column name box at the top call this ‘URL’. The ‘value’ bit means the value of each cell in the column you just selected. The plus sign adds it to the end of the URL in quotes. Click OK if you’re happy, and you should have a new column with a URL for each school ID. In the New column name box at the top call this ‘HTML’. All you need in the Expression window is ‘value’, so leave that as it is. Google Refine will now go to each of those URLs and fetch the HTML contents. As we have a couple thousand rows here, this will take a long time – hours, depending on the speed of your computer and internet connection (it may not work at all if either isn’t very fast). So leave it running and come back to it later. When it’s finished you’ll have another column where each cell is a bunch of HTML. You’ll need to create a new column to extract what you need from that, and you’ll also need some GREL expressions explained here. In the New column name box at the top give it a name describing the data you’re going to pull out. find a table with a class (.) of “destinations” (in the source HTML this reads <table class=”destinations”>. If it was <div id=”statistics”> then you would write .select(“div#statistics”) – the hash sign representing an ‘id’ and the full stop representing a ‘class’. This zero in square brackets tells Refine to only grab the first table – a number 1 would indicate the second, and so on. This is because numbering (“indexing”) generally begins with zero in programming. And convert the results into a string of text. This is still HTML, but a much smaller and manageable chunk. You could, if you chose, now export it as a spreadsheet file and use various techniques to get rid of the tags (Find and Replace, for example) and split the data into separate columns (the =SPLIT formula, for example). When you’re happy, click OK and you should have a new column for that data. You can repeat this for every piece of data you want to extract into a new column. Then click Export in the upper right corner and save as a CSV or Excel file. More on how this data was used on Help Me Investigate Education. This entry was posted in data journalism and tagged google refine, grel, parsehtml, scraping, Something for the weekend on January 13, 2012 by Paul Bradshaw. Quite often when you’re looking for data as part of a story, that data will not be on a single page, but on a series of pages. To manually copy the data from each one – or even scrape the data individually – would take time. Here I explain a way to use Google Docs to grab the data for you. Although Google Docs is a pretty clumsy tool to use to scrape webpages, the method used is much the same as if you were writing a scraper in a programming language like Python or Ruby. For that reason, I think this is a good quick way to introduce the basics of certain types of scrapers. Firstly, you need a list of links to the pages containing data. Quite often that list might be on a webpage which links to them all, but if not you should look at whether the links have any common structure, for example “http://www.country.com/data/australia” or “http://www.country.com/data/country2″. If it does, then you can generate a list by filling in the part of the URL that changes each time (in this case, the country name or number), assuming you have a list to fill it from (i.e. a list of countries, codes or simple addition). Second, you need the destination pages to have some consistent structure to them. In other words, they should look the same (although looking the same doesn’t mean they have the same structure – more on this below). The scraper then cycles through each link in your list, grabs particular bits of data from each linked page (because it is always in the same place), and saves them all in one place. If you’ve not used =importXML before it’s worth catching up on my previous 2 posts How to scrape webpages and ask questions with Google Docs and =importXML and Asking questions of a webpage – and finding out when those answers change. This takes things a little bit further. In this case I’m going to scrape some data for a story about local history – the data for which is helpfully published by the Durham Mining Museum. Their homepage has a list of local mining disasters, with the date and cause of the disaster, the name and county of the colliery, the number of deaths, and links to the names and to a page about each colliery. However, there is not enough geographical information here to map the data. That, instead, is provided on each colliery’s individual page. So we need to go through this list of webpages, grab the location information, and pull it all together into a single list. But we only want the links, so how do we grab just those instead of the whole table contents? So it’s within a <td> tag – but all the data in this table is, not surprisingly, contained within <td> tags. The key is to identify which <td> tag we want – and in this case, it’s always the fourth one in each row. Now we should have a list of the collieries – but we want the actual URL of the page that is linked to with that text. That is contained within the value of the href attribute – or, put in plain language: it comes after the bit that says href=”. Note: if there was only one link in every row, we wouldn’t need to include //td to specify the link we needed. Firstly, we need to identify the location of information that we need on the linked pages. Taking the first page, view source and search for ‘Sheet 89′, which are the first two words of the ‘Map Ref’ line. …And we’d have to write it for every URL. But because we have a list of URLs, we can do this much quicker by using cell references instead of the full URL. So. Let’s assume that your formula was in cell C2 (as it is in this example), and the results have formed a column of links going from C2 down to C11. Now we can write a formula that looks at each URL in turn and performs a scrape on it. If you copy the cell all the way down the column, it will change the function so that it is performed on each neighbouring cell. Now it works – we have the data from each of 8 different pages. Almost. The problem is that the structure of those pages is not as consistent as we thought: the scraper is producing extra cells of data for some, which knocks out the data that should be appearing there from other cells. That formula is copied down the column. As I said earlier, this isn’t the best way to write a scraper, but it is a useful way to start to understand how they work, and a quick method if you don’t have huge numbers of pages to scrape. With hundreds of pages, it’s more likely you will miss problems – so watch out for inconsistent structure and data that doesn’t line up. This entry was posted in online journalism and tagged google docs, importxml, scraping, Something for the weekend on October 14, 2011 by Paul Bradshaw. Quite often that list might be on a webpage which links to them all, but if not you should look at whether the links have any common structure, for example “http://www.country.com/data/australia&#8221; or “http://www.country.com/data/country2&#8221;. If it does, then you can generate a list by filling in the part of the URL that changes each time (in this case, the country name or number), assuming you have a list to fill it from (i.e. a list of countries, codes or simple addition). Firstly, we need to identify the location of information that we need on the linked pages. Taking the first page, view source and search for ‘Sheet 89’, which are the first two words of the ‘Map Ref’ line. This entry was posted in data journalism and tagged google docs, importxml, scraping, Something for the weekend on October 14, 2011 by Paul Bradshaw. 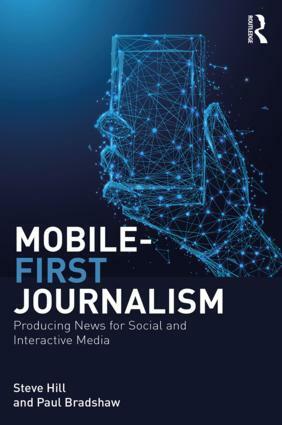 This entry was posted in data journalism and tagged api, cables, cablesearch, google refine, grel, JSON, Something for the weekend, Wikileaks on September 9, 2011 by Paul Bradshaw. There have been quite a few tools springing up over the past few months that I’ve not had time to blog about, so here’s a roundup post on all of them – a bumper Something For The Weekend (let me know how you find these). This entry was posted in data journalism and tagged buzzdata, cleaning, data wrangler, datamarket, google news scraper, impure, junar, metadata extraction tool, roambi, search engine, Something for the weekend, tools, visualisation, zanran on August 19, 2011 by Paul Bradshaw. Here’s another Something for the Weekend post. Last week I wrote a post on how to use the =importFeed formula in Google Docs spreadsheets to pull an RSS feed (or part of one) into a spreadsheet, and split it into columns. Another formula which performs a similar function more powerfully is =importXML. You have found information that is only available in XML format and need to put it into a standard spreadsheet to interrogate it or combine it with other data. You want to extract some information from a webpage – perhaps on a regular basis – and put that in a structured format (a spreadsheet) so you can more easily ask questions of it. The first task is the easiest, so I’ll explain how to do that in this post. I’ll use a separate post to explain the latter. If you have some information in XML format it helps if you have some understanding of how XML is structured. 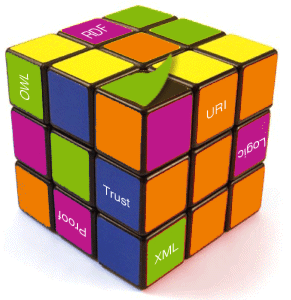 A backgrounder on how to understand XML is covered in this post explaining XML for journalists. It also helps if you are using a browser which is good at displaying XML pages: Chrome, for example, not only staggers and indents different pieces of information, but also allows you to expand or collapse parts of that, and colours elements, values and attributes (which we’ll come on to below) differently. The URL is relatively easy – it is the address of the XML file you are reading (it should end in .xml). The query needs some further explanation. The query tells Google Docs which bit of the XML you want to pull out. It uses a language called XPath – but don’t worry, you will only need to note down a few queries for most purposes. The indentation and triangles indicate the way the data is structured. So, the <councils> tag contains at least one item called <council> (if you scrolled down, or clicked on the triangle to collapse <council> you would see there are a few hundred). And each <council> contains an <address>, <authority-type>, and many other pieces of information. If you wanted to grab every <council> from this XML file, then, you use the query “//council” as shown above. Think of the // as a replacement for the < in a tag – you are saying: ‘grab the contents of every item that begins <council>’. You’ll notice that in your spreadsheet where you have typed the formula above, it gathers the contents (called a value) of each tag within <council>, each tag’s value going into their own column – giving you dozens of columns. You would then only have one column, containing the names of all the councils – if that’s all you wanted. You could of course adapt the formula again in cell B2 to pull another piece of information. However, you may end up with a mismatch of data where that information is missing – so it’s always better to grab all the XML once, then clean it up on a copy. If the XML is more complex then you can ask more complex questions – which I’ll cover in the second part of this post. You can also put the URL and/or query in other cells to simplify matters, e.g. If you’ve any other examples, ideas or corrections, let me know. Meanwhile, I’ve published an example spreadsheet demonstrating all the above techniques here. 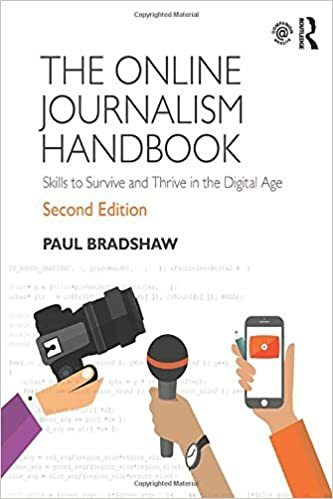 This entry was posted in online journalism and tagged google docs, importxml, openlylocal, Something for the weekend, xml, xpath on July 29, 2011 by Paul Bradshaw. This entry was posted in data journalism and tagged google docs, importxml, openlylocal, Something for the weekend, xml, xpath on July 29, 2011 by Paul Bradshaw.